Network connections are the backbone of business connections. 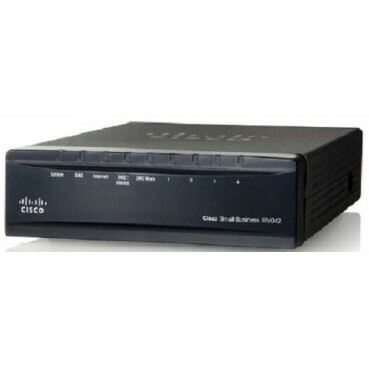 One of the Cisco Small Business Routers, the RV042 Virtual Private Networking (VPN) Router supports up to four wired and 50 off-site connections. The latter allows users to connect into your network with secure access to your files and intranet. The RV042 comes with dual Internet ports that can serve as a failsafe system for 24/7 network uptime, or as a secondary connection to a separate Internet provider. Whether they're used for backup or speed boosting, the router's networking hardware will keep bottlenecks away from your network, period.